Artist and instructor, Pam Signorelli teaches the unique art of felting. It’s simple in concept, yet looks complex in execution, and the results are elaborate sculptures made completely out of wool. All materials will be provided. Learn to needle felt this wool pin to wear with pride. Multiple shades of green. Perfect for beginners as well as experienced felters. Erin Go Braugh! Create your very own felted forest dweller! 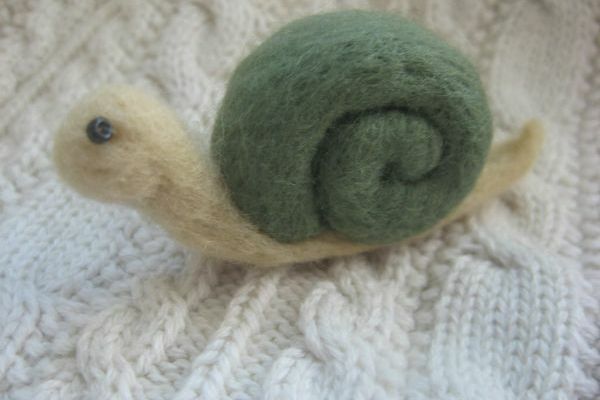 This whimsical snail is yet another one of designer Pam’s magical felt masterpieces.